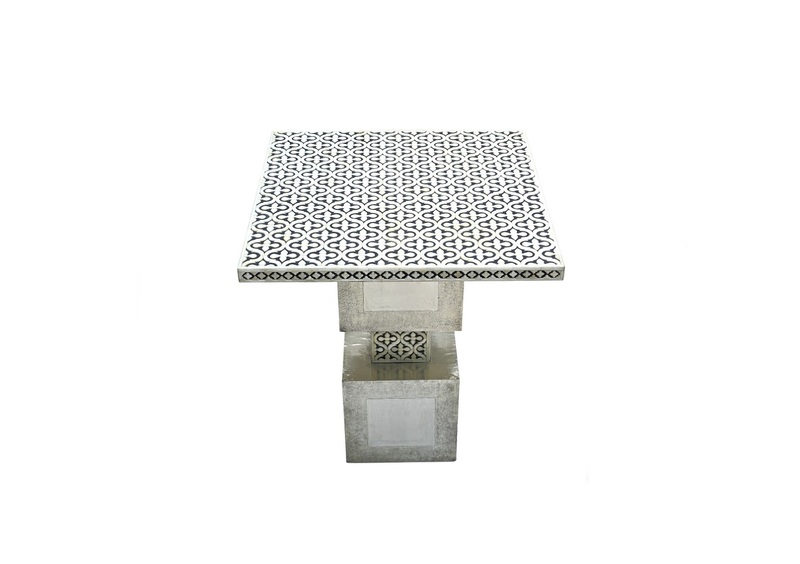 Description: Bring a sophisticated haute couture peice inside your home with this table. This table made of a black and white bone inlay.. Truly elegant! Each piece is made by handcrafted and pasted by artisans. Would be perfect for a foyer or any grand enterance. 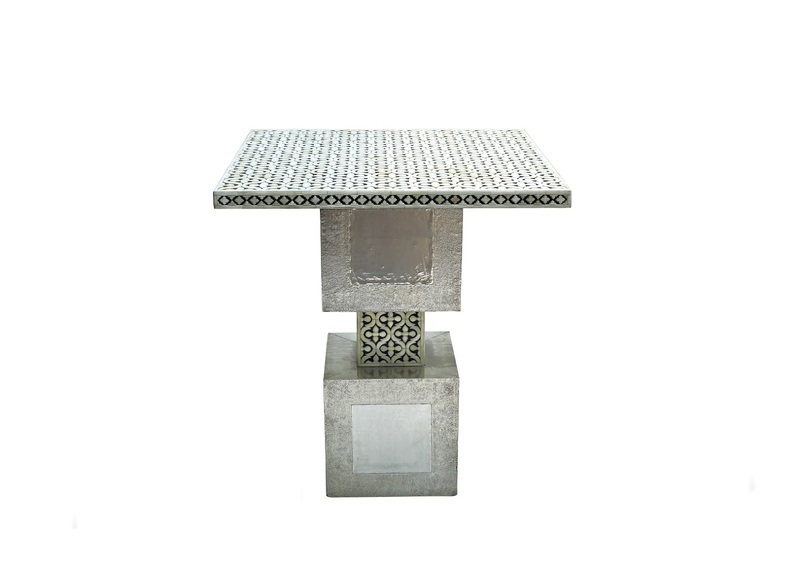 The elegant top is supported by two square metal blocks with distressed finish on the sides and inbetween both lays a small sqaure version of the top, giving it an absolutel unique design and dimension.